What are Google Online Jobs? Google Online Jobs are various ways to work and earn money online from home through different product/programs from Google Inc. Google is the highest employers of labour when it comes to online jobs or other various internet businesses. Anyone can make money through Google Online Jobs as long as such person have an internet connected computer or phone, a valid payment method and time to work online and get paid from Google either per hour, per week or on a monthly basis. 1. Adsense; The first money i earned online was through Google and up till now the big Google is still paying. You can also get paid through Google by allowing Google place it adverts on your site or videos and if your site is a high traffic site, you earn money legitimately online through this means. Just open a gmail account which can used to create a free website account on blogger and you start adding good contents. 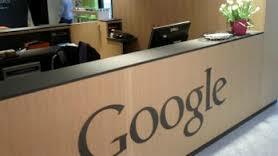 Later, you can integrate Adsense on your high traffic site to start earning money with Google Online Jobs. 2. Blogger; Blogger is a website owned by Google which allow people to create their own website for free. With a single gmail account, you can access various Google product in one place. As a starter, you can start your internet business precisely blogging using blogger. One of the advantages of using blogger is that you have a free domain, free hosting and you don't need to pay anything to start a blog on blogger. You can use it to promote your own business, earn money with Adsense and to promote affiliate programs that generates good income for you. 3. YouTube; This site is owned by Google and has been rated as the biggest video social networks. It allow users to post videos of their event, shows, music, work etc for entertainment purposes or for informational purposes. But many people have seen creating videos as an online job through Google to make money by monetizing their videos with Google Adsense which displays ads on videos. You make money from every valid clicks on the video. 4. Google Adwords ; This program is used by people to advertise their business, links, website, brands to millions of people on the internet. Google Adwords is the create jobs online for people through advertising and promotion. You can use Google Adwords to promote your products and services to make earn more profit. You don't need to bother over promotion, just register for Adwords, create your adverts and that is all. 5, Android Mobile Apps ; This is one of Google Online Jobs and how does his become an internet business? You can start to create a job online for yourself through Google by developing mobile apps of business, site, page, apps etc and listing it on Google play for downloads. If its a paid apps, then you earn money per downloads from Google. These are ways to earn money online with Google Online Jobs and the types of Google Online Jobs have been listed above. Google Online Jobs are simple, just create free blog, dive some traffic and monetize with Adsense to make more money through the blog. Thanks for reading.